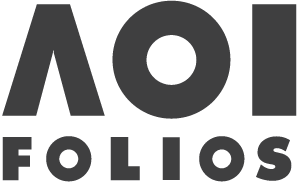 In light of our trip to Bologna, the team have been drawing up some fantastic opportunities for Members at the fair including a Bookseller Illustrator Showcase, popular AOI talks, and Portfolio Reviews with our publisher and agent pals. 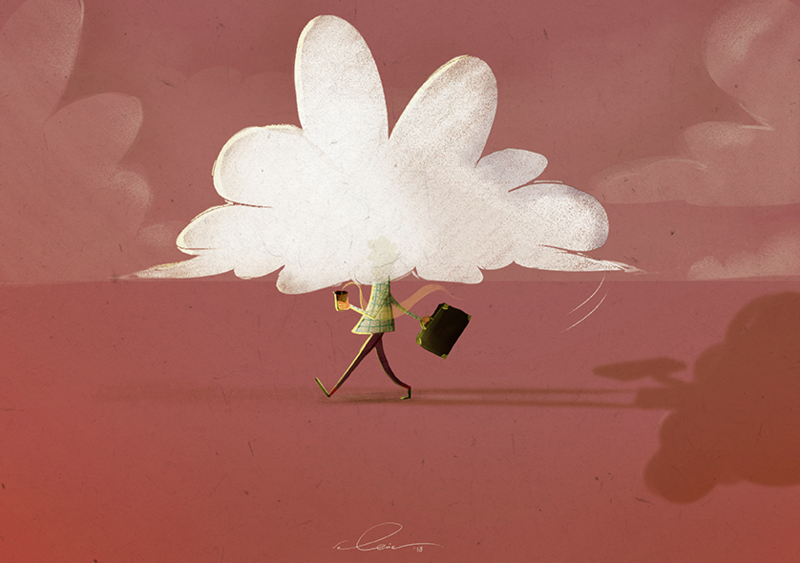 We found ourselves delighted by one application from UK based Italian Illustrator Valeria Weerasinghe. Her website, bustling with character driven personal projects, led us to crown her the perfect candidate for our Italian take on Illustrator of the Month. Molto bene! Finding a passion for creative education, Valeria navigated her journey through Royal Holloway and Central St Martins focusing on Media Arts to Animation, and now Illustration. 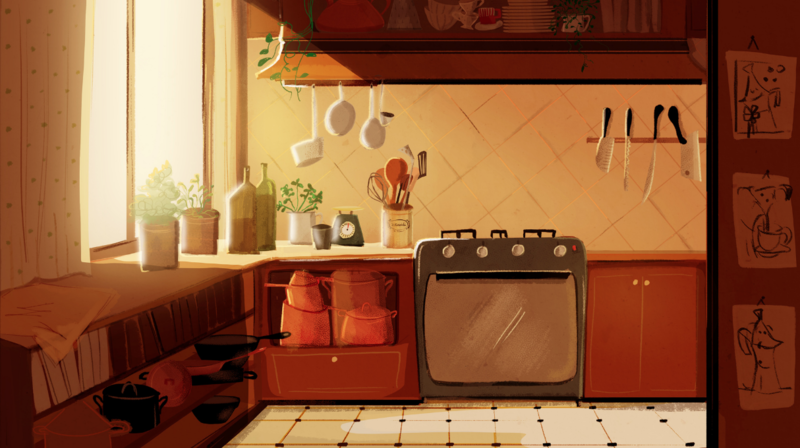 The skills drawn from these storytelling platforms tie frequently in with the illustration industry, and it’s no surprise we see so many talented animators like Valeria find themselves interested in creating action-packed illustrations and picture books. From media arts to picture books. How do you feel your upbringing has influenced your love of storytelling? I grew up between two vibrant cultures, Italian and Sri Lankan, both full of stories and traditions (and superb food, if I may say!). As a child I drew lots and watched many animated cartoons and storybooks. My absolute favourite that I remember reading over and over again was Babar the Elephant. Over time I grew an interest in researching and studying what was around me. This curiosity has made it possible for me to enjoy experimenting and learning. Particularly during my Bachelor’s degree in Media Arts at Royal Holloway, I took a module in Cinematography and that was a game changer! It exposed me to the concept of ‘showing, not telling’, which taught me to observe and understand stories visually. The idea of creating a special emotional connection and reaching the audience through dynamic characters, good composition, colours and lighting is a fundamental and constant drive for me as an artist. I usually start off with a hand drawn sketch on my sketchbook and once I have the idea roughed out I move this to digital format. The illustrations I share are predominantly digital right now, however I love to sketch with pencil and whenever I really need to relax I find myself painting with watercolours/gouache. 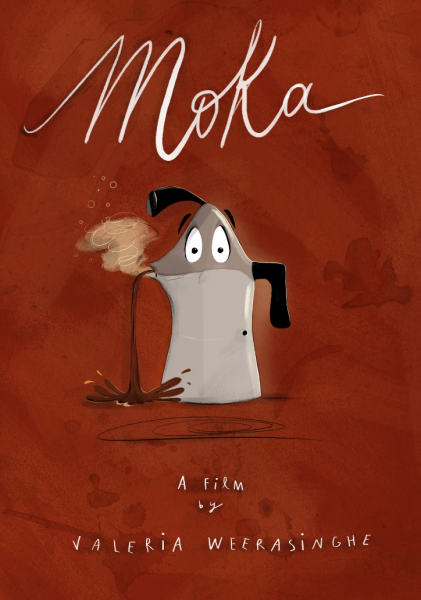 Reflecting on your MA experience at Central St Martins, what led you to create your animated short MOKA? My experience at CSM was truly meaningful. After taking a few years out to focus on other projects I decided I was determined to get into the Character Animation masters program there – This was the only option I considered and I worked really hard to make that happen. I wanted to create something special that reflected my own way of telling stories and this led me to create ‘Moka’ as my final graduation project. The idea came about one ordinary morning when I felt trapped developing a different storyline. I tried to make it work so badly, but it wasn’t convincing enough for me so I decided to let it go. I was struggling with it and I couldn’t move forward, so I went in the kitchen to make myself some coffee, and whilst my little Moka pot was bubbling up on the hob I looked at it and thought, ‘I am going to make a film about YOU!’. After that everything fell into the right place. Visually, I had a pretty clear idea of what the look of the film was going to be like. I wanted it to feel warm and I wanted the audience to feel immersed in the setting. 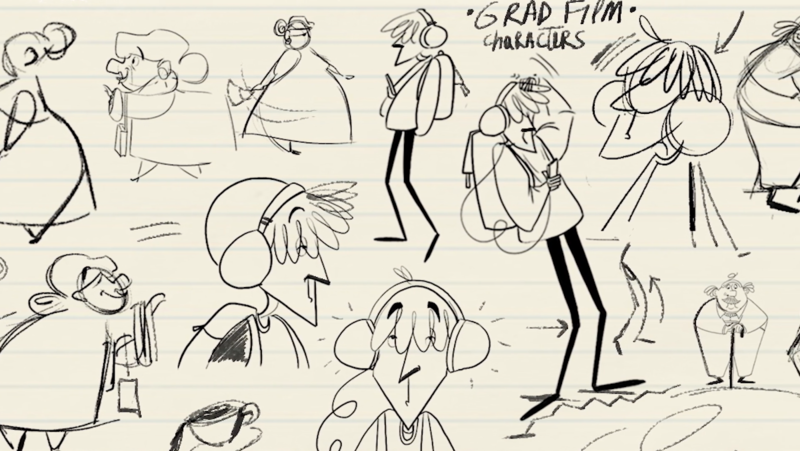 One of my favourite parts of this project was designing the characters and the environments. I loved working on every single step of Moka, and I was really pleased to see how well the short was received. Before publishing it online a couple of months ago, I had sent it over to a few friends with kids and I loved to hear their reactions. Moka is now on a Festival run, so fingers crossed! I didn’t intend for it to be a longer film, however a lot of people (particularly children) have asked me ‘What happens next?’. Some people have even suggested it would work as a kids series, but I don’t know yet, I still feel like I finished it yesterday. MOKA from Valeria Weerasinghe on Vimeo. Great! What was your first experience of Bologna like and how would you approach it differently this year? I remember that the first time I went to the Bologna Children’s Book Fair I was incredibly overwhelmed by it, probably because I was just starting out as an Illustrator. It was really exciting but at the same time I wasn’t exactly sure of what to expect, and I wasn’t very aware of everything that this event had to offer. Nonetheless, it was a fantastic experience and I returned feeling very inspired. This year I will be participating with a more focused attitude. I grew lots as an artist over the years and I am definitely more confident with my work, my skills and (despite my awful sense of direction in real life) I think I know where I am going with my illustration. I have put together a portfolio with my best work that I am planning on showing to Art Directors at meetings/consultations as well as some promotional material (business cards and postcards) to leave behind and to hang on the notorious ‘Illustrator’s wall’. I always try not to put too much pressure on myself. On one hand I will be going to the Fair to get my work out there, get as much feedback as I can and create valuable contacts, and on the other I really want to take advantage and enjoy everything it offers (talks, workshops and so on). 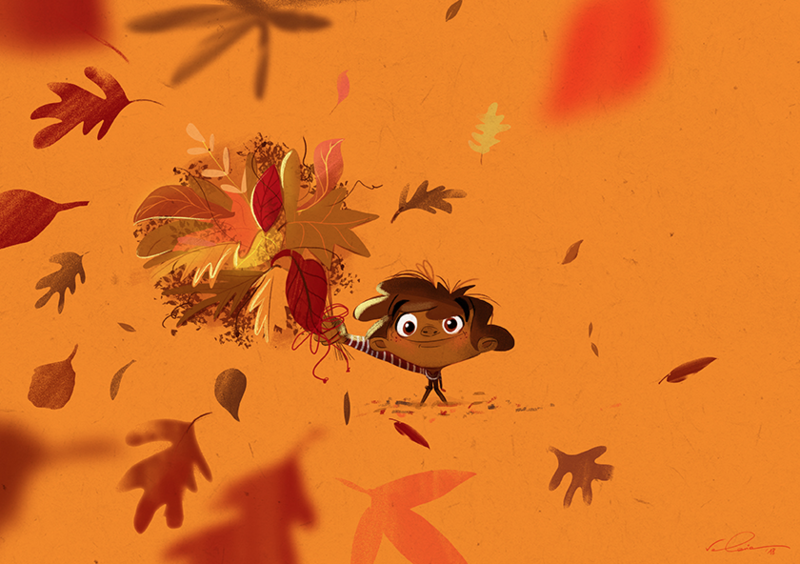 From looking through your folio it’s clear that your illustrations are packed with rich colour and character development. What kind of narratives would you like to express through your artwork? Where do you draw inspiration from? My aim is to always tell my version of a story and eventually leave it to the world to reinterpret it. I do incorporate humour a lot, but quite often there is a deeper message. If by looking at my illustrations I can trigger an emotion in you, then I think I did my job. Speaking of emotions, colour and light are essential to me in communicating feelings and they definitely play a big part in what I do. 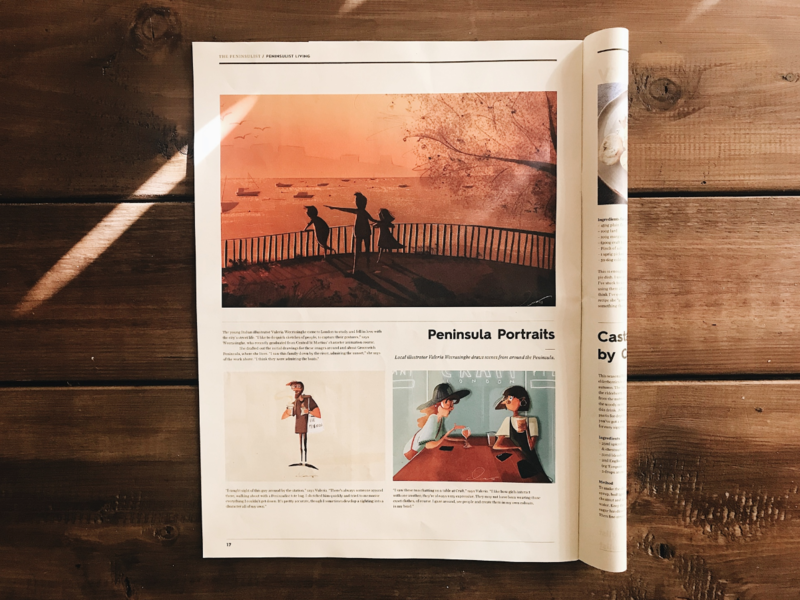 I have many many sources of inspiration, but in particular two artists really made an impact on my work: Glen Keane in animation I look to absorb the charm of subtle movements, and Picture-book Illustrator (and Patron) Oliver Jeffers the power of a ‘simple’ story. In answer to this question I suppose I don’t necessarily have one set narrative that I always follow. I am happy to explore different routes but one thing I know for sure is that I want to create stories that both kids and adults can enjoy! Can you talk about a favourite commission of yours and how this came about? 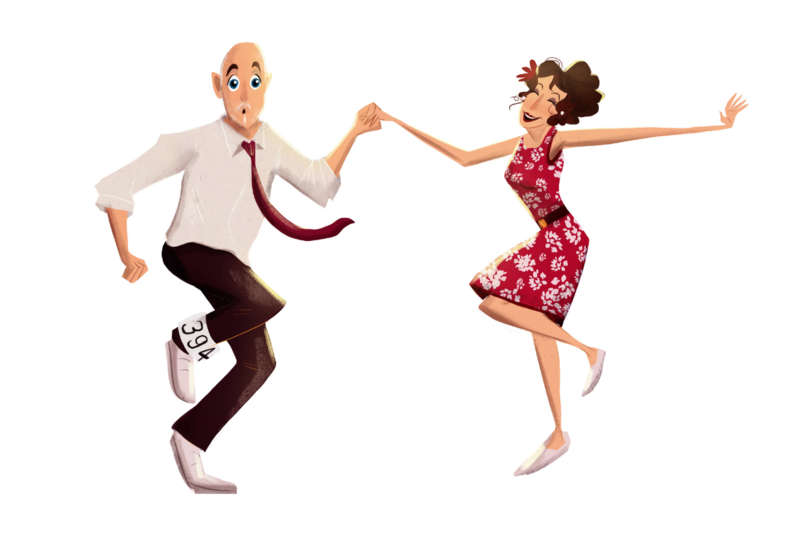 My favourite commission so far is from the Italian Newspaper Corriere della Sera. I illustrated a beautiful written piece by author Stefano Sgambati. In the passage the author describes the feeling of worry as a presence that is able to make people speed up or slow down when necessary ‘the co-pilot to our lives’ he writes. I was fascinated by this definition of worry that gave an almost positive meaning to something that we’re so used to perceive as negative. The idea for the illustration unfolded quite organically. I immediately pictured two characters on a tandem bike, a skinny one doing all the hard work pedalling at the front and a big, heavy character pointing him in the right direction at the back. I loved working on this drawing because I felt challenged – it gave me the chance to interpret somebody else’s story and give my own spin to it! I also loved collaborating with my local paper The Peninsulist which commissioned me a series of drawings inspired by the people I’d seen around the Greenwich Peninsula area. Everywhere I go I see characters that inspire. I love catching moments and studying gestures, colours and patterns of clothes and this project allowed me to do just that and have all the creative freedom! Thanks to Valeria for this great insight into her process and artistic direction. We’re also looking forward to championing Illustrators at Bologna this year. If you’re attending, make sure you read our Agents insight and Jean’s Final Prep before you go! Catch our last members feature on the multi-talented Toby Leigh.